When Max Hallyday, a rising New York adman, joins a glitzy Midtown agency, he knows the game is winner-takes-all. But when his best friend Roger, a serial womanizer, seduces Max's billionaire client and puts his career in jeopardy, Max strikes back. 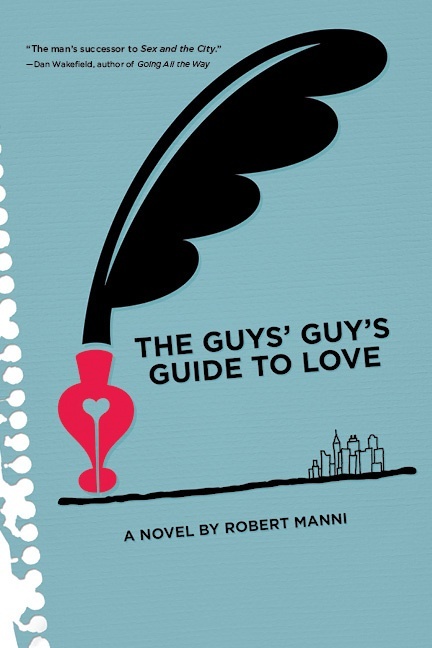 He pens a column exposing the ‘Rogers’ prowling the city: The Guys' Guy's Guide to Love. Championed by magazine publisher and former flame, Cassidy Goodson, Max becomes famous… or is it notorious? With the women of New York clamoring for more, sparks begin to fly with Cassidy. Can Max survive his instant celebrity and cutthroat rivals to discover where his heart really belongs? The Guy’s Guy’s Guide launches us deep into the cut throat business world complete with lavish expense accounts, liquid lunches and dizzying office politics. It seems not much has changed since the portrayal of the Ad Men world in the sixties that Mad Men has given us – except maybe the gun wielding in the office. I had worried about one dimensional characters when this novel began, but was pleasantly surprised after getting to know them all and found they weren’t wooden and seemed willing to change. There are quite a few characters involved, but they were relatively easy to tell apart. Interestingly, as much as I despised him, it was Roger’s journey that I found the most interesting. I didn’t really find any earth shattering information on the male species in this novel and in fact, I now think that they’re even more complex than I originally thought. It was amusing to watch them sort themselves out – the women too! – and rooted for them all to find love and happiness. Manni’s dialogue is sharp and interactions come across as genuine and real. A few things about the writing jumped out at me that I didn’t love and if they’d been absent would have vaulted this rating higher. The instances were low, but still noticeable and did detract from my overall enjoyment. There were times where the voice changed and bounced from character to character which was confusing, especially as each section was set as one characters viewpoint. I also found many chapters difficult to get going at times, especially when it started with one character bumbling around and it got to the point where I found myself skipping the initial bits until the action began. There were also some timeline confusions for me, such as when Veronica found out about a deal much later in the novel than Roger and when she did, his timeline had advanced significantly, but hers hadn’t advanced in time at all. I wasn’t sure if I missed something and wasn’t prepared to flip back because I couldn’t even pinpoint exactly how far back I had to go. I really do think though that with some workarounds for the above, Manni will find a wide audience as he has a great voice, and I would definitely read another. Thank you to Robert Manni for our review copy! All opinions are our own. I've just finished reading and reviewing this, and really appreciated getting another persective on the book. I picked up on the timescale issues you mentioned too, and found them really odd. On the whole though, the book was fun. My review is here, if interested: The Guys' Guy's Guide to Love by Robert Manni. I also ran an interview with Robert, which makes for interesting reading.